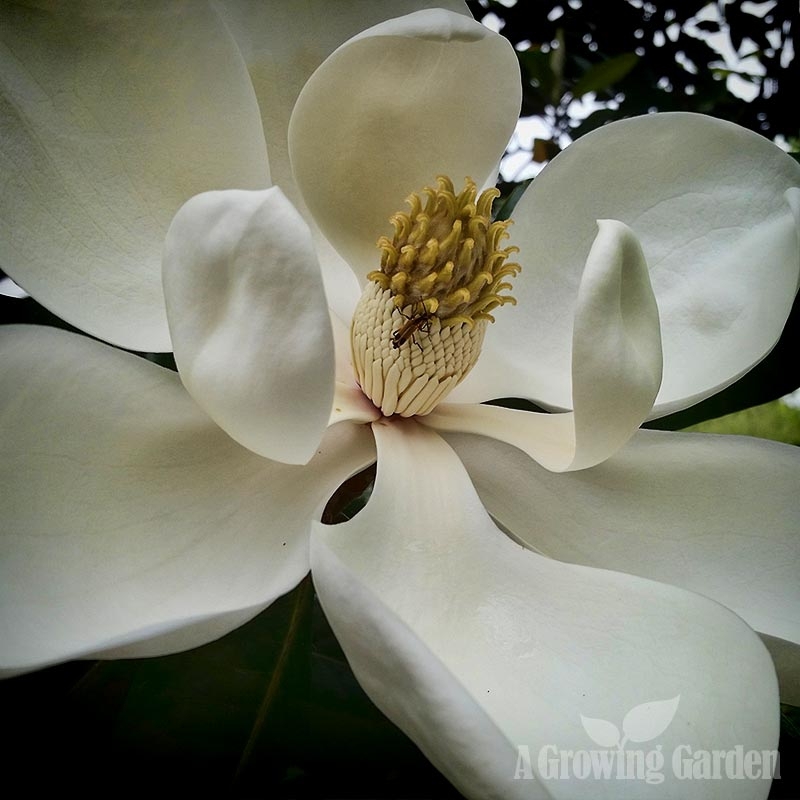 If you were to walk around our property right now, you'd be almost knocked off your feet by the incredible fragrance of Magnolia Grandiflora. 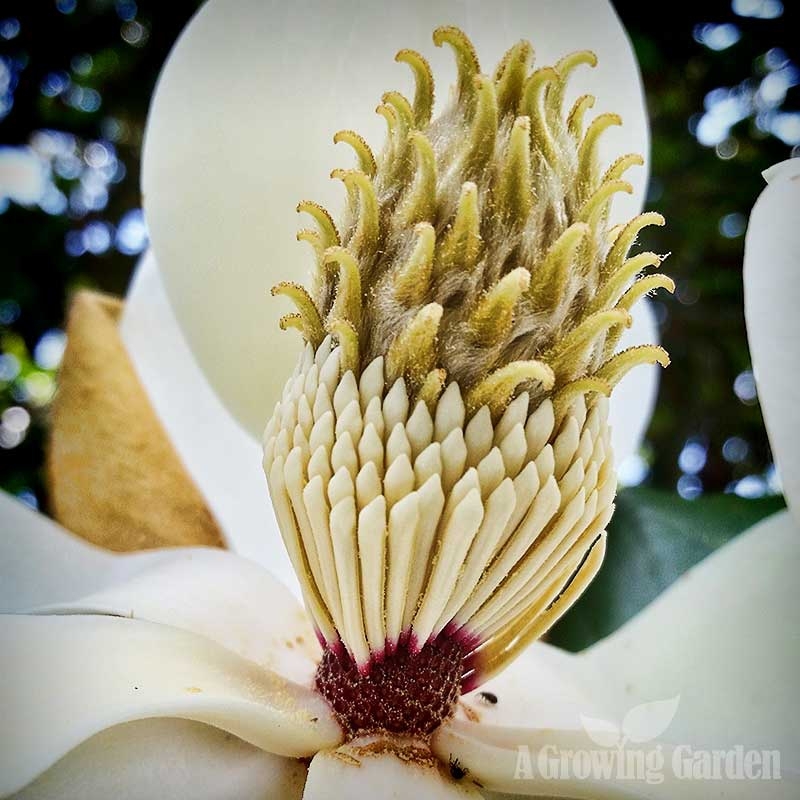 We have a ton of large Magnolia Grandiflora (also known as Southern Magnolia) trees here and they are just starting to bloom for the season ... the air smells good. And I mean really good. 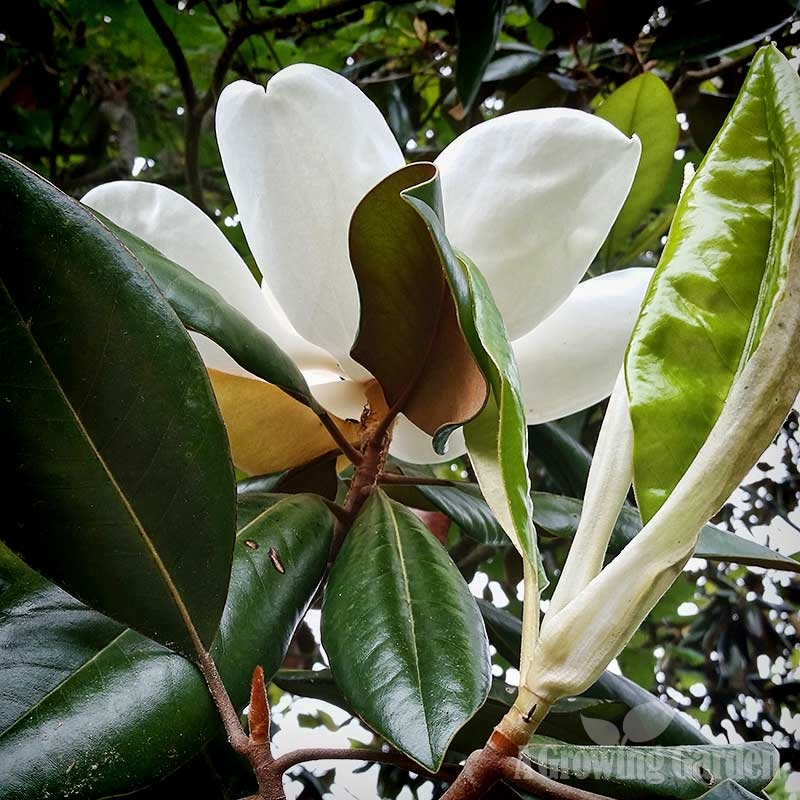 Southern Magnolia's are large evergreen trees bearing some of the largest flowers native to North America. While native to the southern US (from the Carolina's through Florida), they have been also planted in colder regions with some success. 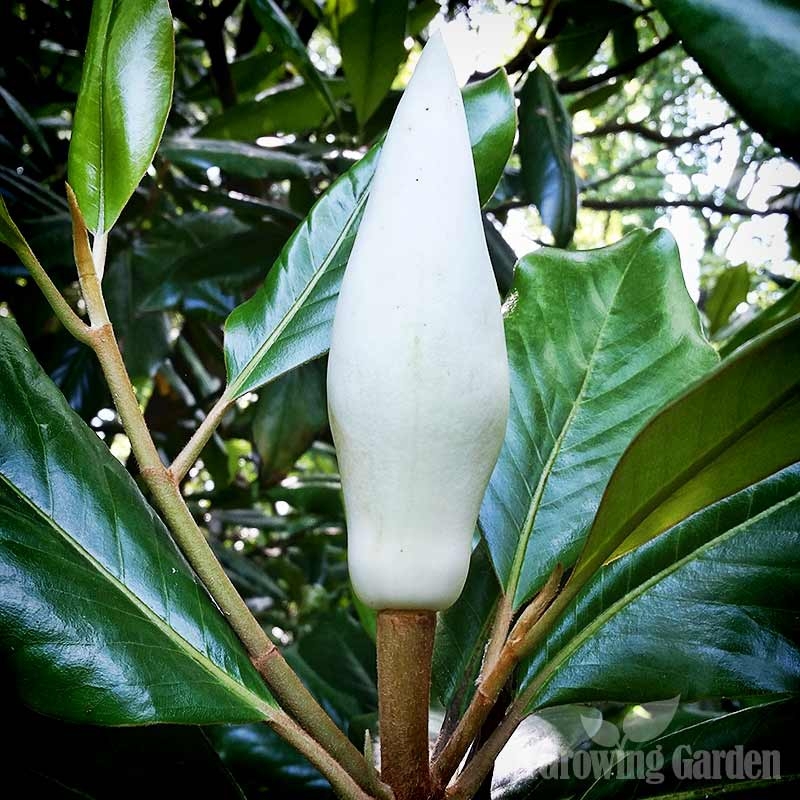 Being along the Chesapeake Bay, we're in a bit of a micro-climate and Magnolia Grandiflora grow quite well here too. They really are monster trees and can grow up to 80 feet tall with a spread of up to 50 feet. As a matter of fact, everything about this tree is big ... the leaves are very large and the flowers can reach 12 inches (or more!) across. In early summer, the flower buds start out as a large white conical form. Gradually, the large petals open to reveal what can only be described as a cross between a pineapple and an alien octopus. Just kidding ... it's just the main part of the flower itself. 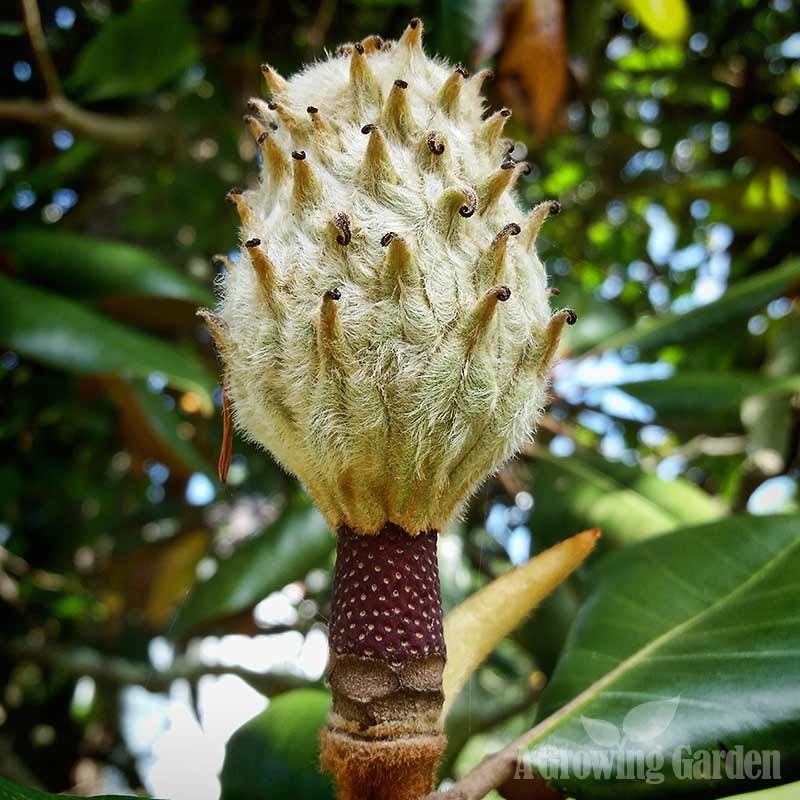 Eventually, the petals fall off and the pollinated flower bud becomes fuzzy and starts to develop seeds (which are bright red, by the way (sorry I don't have any photos of that ... I will try to get some later in the season). 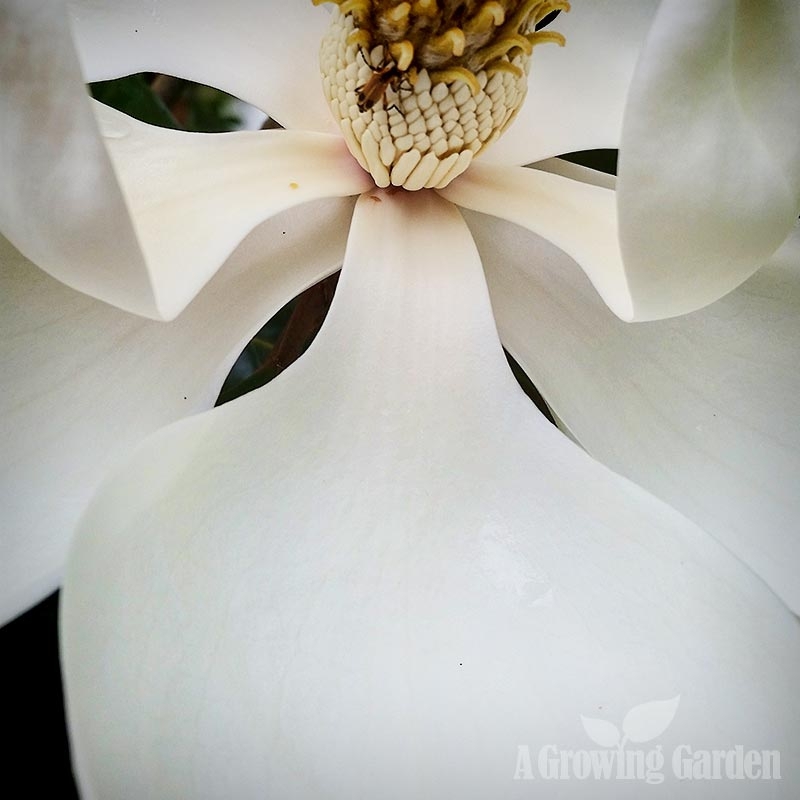 Ah, magnolias! How I wish I could be there. The smell of my childhood! !